Rental payment software processes payments from tenants and vacation renters. These solutions are used by property owners and managers to streamline the payment collection process. Rental payment software simplifies the payment collection process for all parties involved. Renters interact with a payment portal and can typically automate their rent payments. These solutions process rent payments and deposit payments and often contain communication tools for landlords to interact with renters. Rental payment solutions often allow multiple payments types, from direct deposit to credit cards, although the latter usually comes with a processing fee. Rental payment software often comes as part of property management software, but many are available as standalone solutions. Rental Payment reviews by real, verified users. Find unbiased ratings on user satisfaction, features, and price based on the most reviews available anywhere. VacationRentPayment is the top vacation rental payment processor in the world, enabling businesses to grow faster, while mitigating risk. We believe that PMCs need more value than just a competitive rate, so our solution is designed to help increase revenue through efficient global payments and chargeback management. We integrate with all the top vacation rental software platforms including HomeAway software (Escapia, V12), Kigo, LiveRez, Barefoot, Streamline, Cirrus, RNS, VacationRentalDesk, and Vacation RentPro. Our award-winning Payments solution reduces your workload and improves collection times. With seamless integration, resident payments will appear in your accounting software, letting you eliminate manual data entry and trips to the bank. Residents will also love the convenience and flexibility of paying online, with their smartphone, or in person at a retail location. No more searching for that checkbook! About PayLease PayLease provides online rent payments, billing, and utility expense management tools to HOAs and property management companies. Property managers use PayLease to offer their residents convenient online payment options and to improve their business’ operational efficiencies. Our solutions are easy-to-use and are backed with the highest levels of security and customer support. Since our inception in 2003, PayLease has grown to serve thousands of property management companies nationwide and is among the fastest-growing technology companies in the United States. For more information, please visit https://www.PayLease.com. 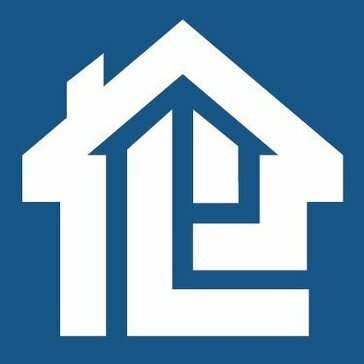 SeamlessProperty.com provides a seamless property management software that streamlines the process of renting an apartment, from listing to lease and everything in between including personal websites, advertising, lead management, online applications, tasks from smartphones, background checks, payments and e-signatures. Allow tenants to enroll and view their current lease information, payment history, and outstanding charges, and update their contact information. Accept online rent payments from your tenants via PayPal, giving them more payment options (credit card, debit card, or bank account). Avail (formerly Rentalutions) is an online platform for DIY landlords and their tenants. Avail is an intuitive app that helps you advertise vacant units, request rental applications and credit reports, sign leases, and collect rent — all online. Increase your rental revenue by up to 30%. Automatically update your rates daily with the perfect price across multiple channels. Rategenie's data driven algorithms will help you maximize your profits. Rentec Direct serves as a web-based, full-featured management system for landlords and property managers that is designed to suit the needs of those managing properties between 25 and 5,000 units. Rentec has no startup fees, no term commitments, and includes unlimited US-based customer service and training. Key features of Rentec Direct include general ledger accounting and financial reporting with optional Quickbooks synchronization; online portals for tenants and owners; a custom website and website hosting to promote your company and properties online; tracking of work orders; automated ACH and credit card payment processing; syndication of vacancy listings; online rental applications; electronic signatures with DocuSign; electronic 1099 filing; utility billing integration; and tenant background screening for credit, criminal, and eviction records. Rentec has strict bank-grade security standards in place to protect client data, including 2-factor authentication, third party security verification, and real-time secure data backup. The software is compatible on Windows and Mac operating systems as well as various mobile devices. Acturent is an affordable and easy to use property management software for the rental industry. Designed for landlords and managers of rental properties; manage rates, track payments; track expenses and income. A complete platform for real estate billing & payments. ClickPay delivers integrated print and e-bill presentment and payment services to increase operational efficiencies and enable profitable growth. Shaping the future of real estate billing and payments with innovative products and services, ClickPay provides property management companies with customizable solutions to connect with their tenants, residents, and homeowners. Has been providing property management software to landlords and property managers featuring online rent collection, tenant applications, credit reporting, expense tracking, optional credit and debit card processing, and reminders. FreshRenter is an online property management solution for the do-it-yourself landlord that lets you manage payments, maintenance requests and more. Ivon is a vacation rental management software that allows you to manage your vacation property rental business online allowing you to manage your time, communications, process payments, and recored all transactions, payments and more. ManageGo was built by real estate managers for real estate managers. Our platform is built to maximize your landlord-tenant relationship while minimizing your workload. ManageGo provides online payments with industry-leading overnight funding, a maintenance ticket system, lease applications, tenant communication tools, and more. ManageGo's platform is available as a full website and a mobile app for ease of use wherever you are. MyVR allows you to create vacation rental webistes while accepting payments from your renters, displaying photos and local events, recommedations, and deals as well as a centralized availability calender. PayClix is a fully customizable payment processing solution for your business. Rentalgrid is a rental property management software with tenant screening, inspections, and online rent payments. Rentger is a rental property management software with property maintenance tracking, tenant portal, and payment tracking for property managers. 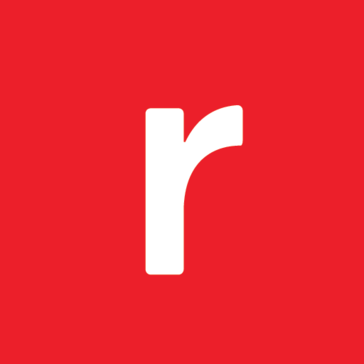 Rentigo is a rental property management software that offers rent collection, maintenance ticketing, vacancy management, and tenant communication. RentTrack is a streamlined payment portal for renters that's unlike any other. By solving a problem everyone else ignored we've leveled the playing field. Long Term and Vacation rental property management, in the same place, yet separated, so that each can have their own unique functionalities. RPM Pro gives you the best of both worlds so you can manage your leases in the same place as your online bookings and payments, housekeeping and maintenance requests and more. Tellus is a startup dedicated to leveraging the power of technology to transform the rental experience. One click vacaction rental management and easy payment collection. TrueRent software will keep your properties organized, prevent missed deductions, reduce tenant interactions and more, all while keeping your data secure. VerticalRent is designed to assist property managers, landlords, and tenant screening firms that require advanced tenant screening capabilities. 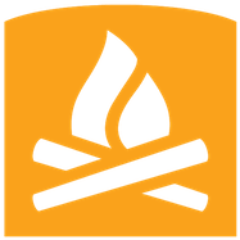 VROOMRes is a vacation rental property management solution that enables hotels and campgrounds to process payments, manage reservations and guests. Hi there! Can I help you find the best Rental Payment solutions?